We offer a wide gamut of Industrial Heat Insulation Products, which can provide solid state temperature regulation and energy saving insulation. Due to such innate properties, these cost effective heat treatment furnaces can be easily used to cater to the diverse general heat treating requirements of tools, dies and other similar components. We are the emerging and rapidly growing group in the EPE foam industry strategically located at pune in the state of maharashtra. 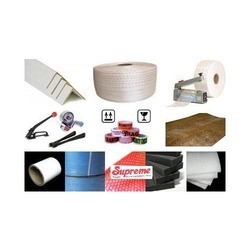 We are having expertise in manufacturing, exporting as well as wholesale supply of high quality foam products in India. SMS Wrapping Sheet for Sterilization made up of French Fabric. All type of packing material available. All type of crates and packaging material available.